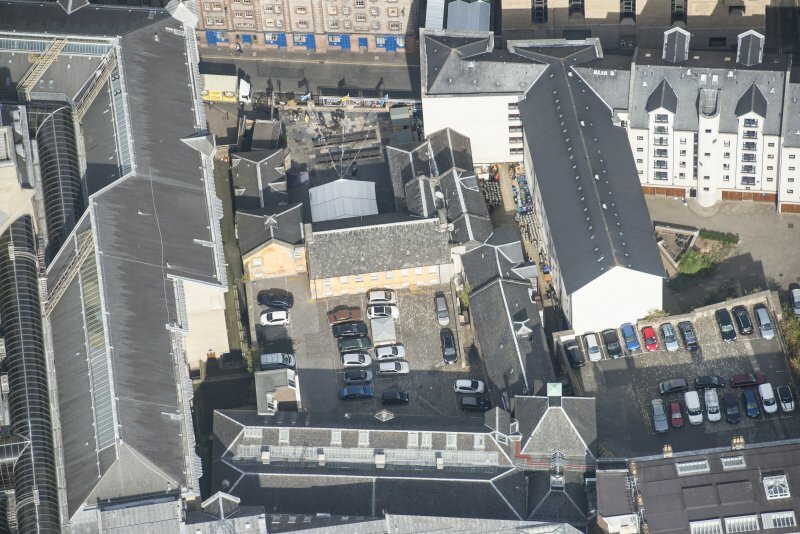 Oblique aerial view of Tailor's Hall, looking SW.
General view of main entrance wynd with group of men, women and children standing in front. 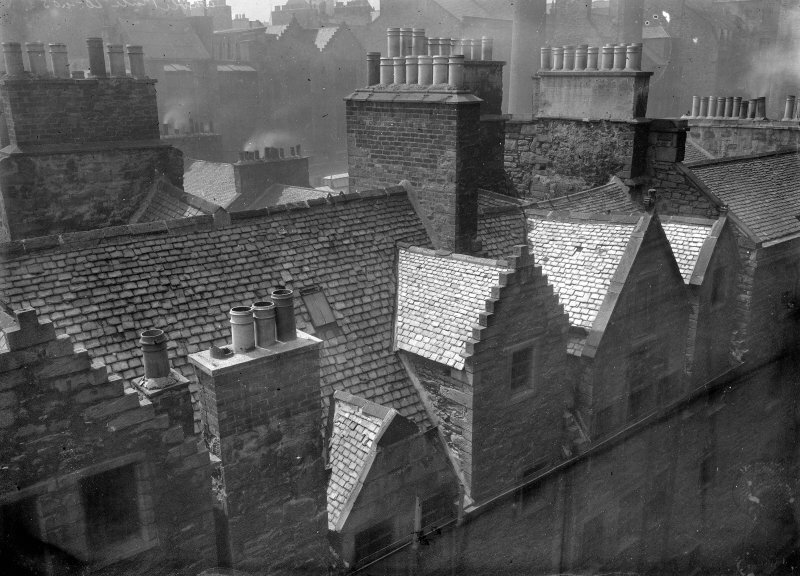 Oblique aerial view of Tailor's Hall, looking N.
Oblique aerial view of Tailor's Hall, looking S.
Oblique aerial view of Tailor's Hall, looking NW. 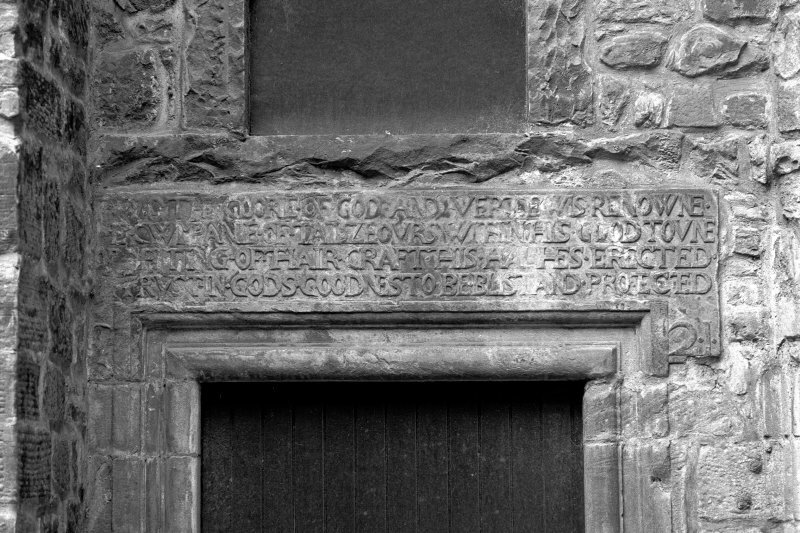 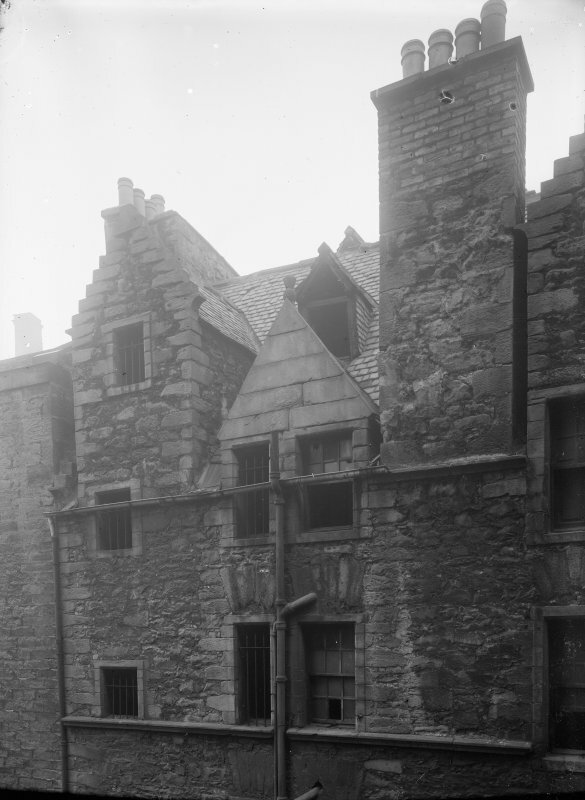 In 1620 the Incorporation of Tailors acquired an area of land on the S of the Cowgate on which stood "several buildings, some of them apparently ruinous, with two courts or yards." 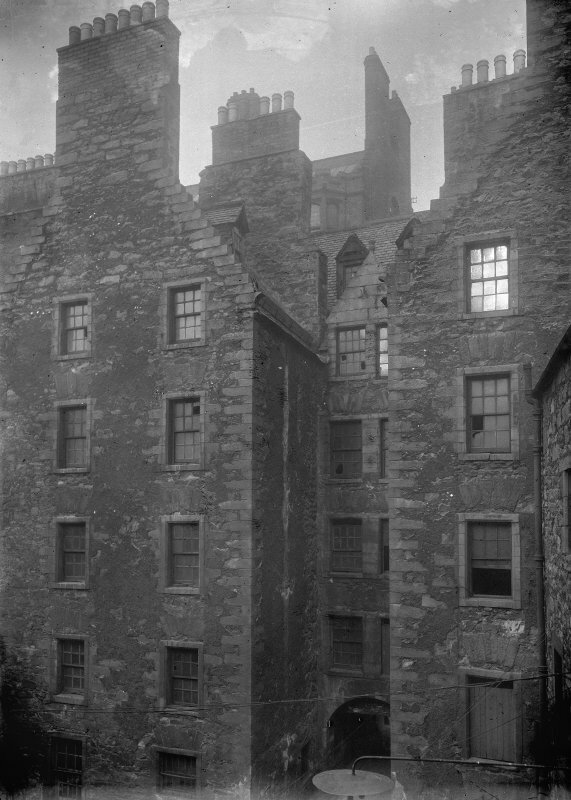 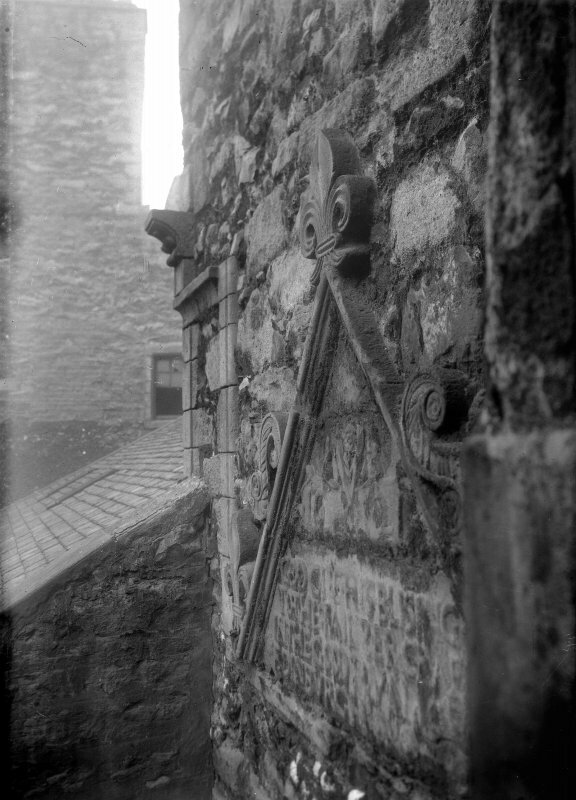 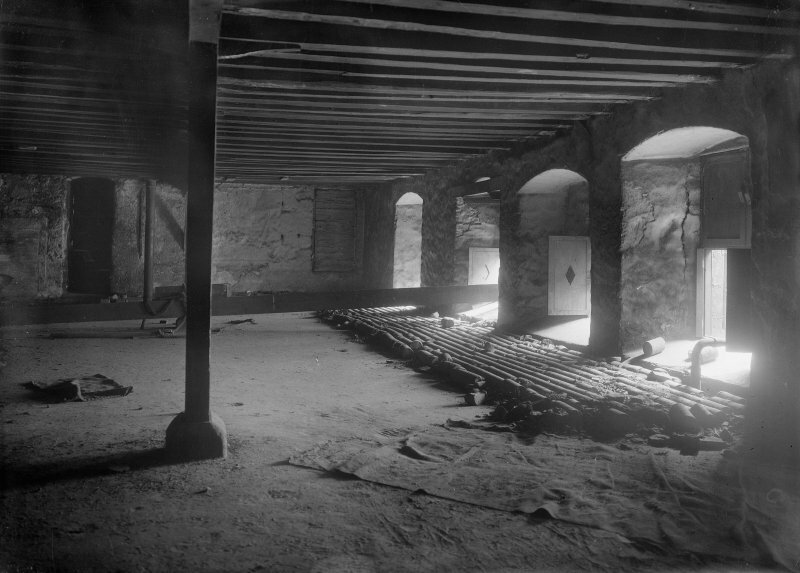 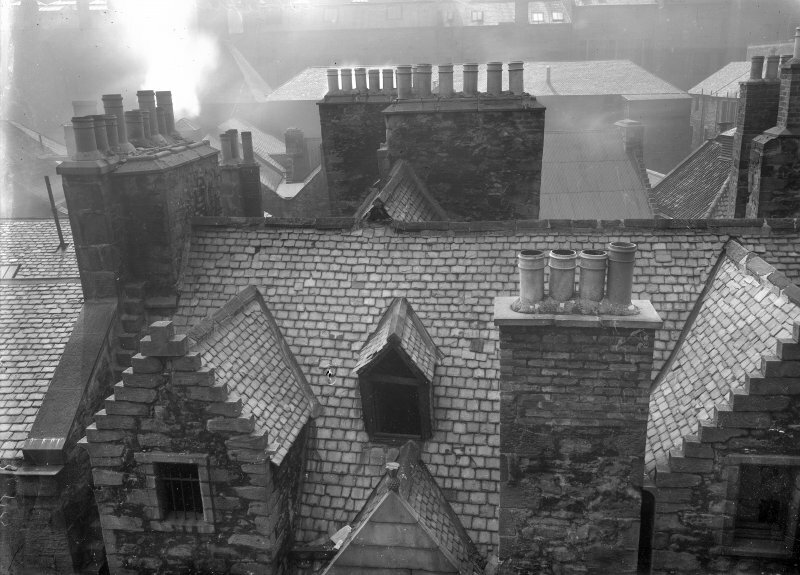 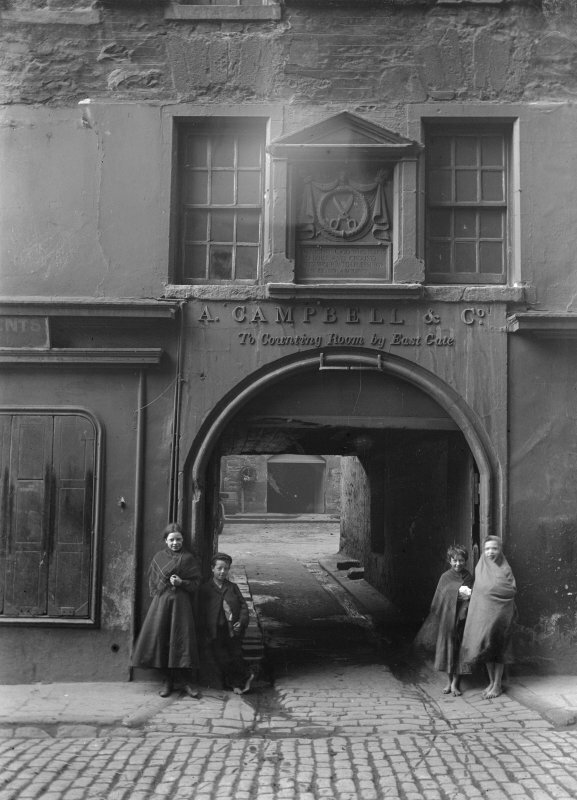 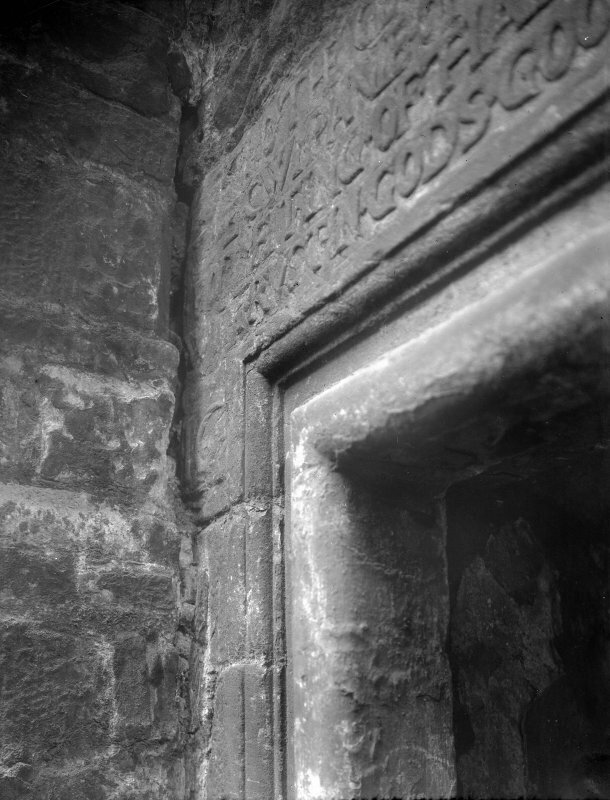 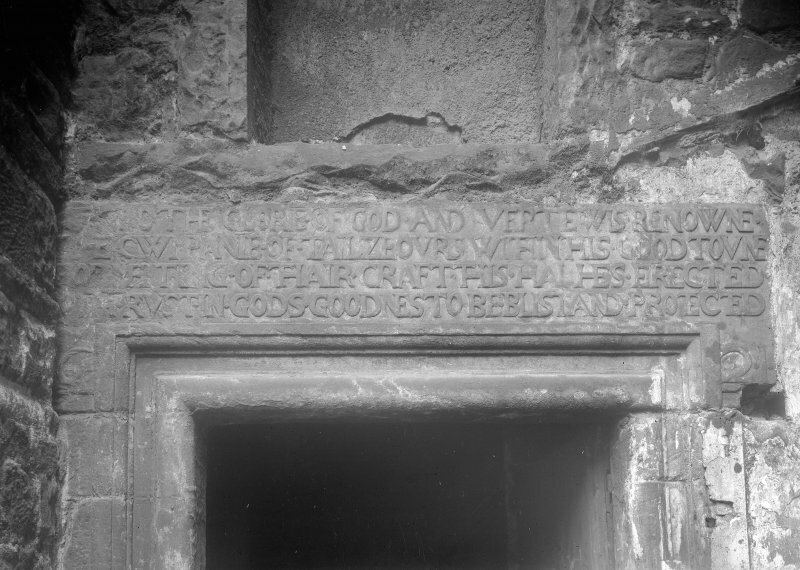 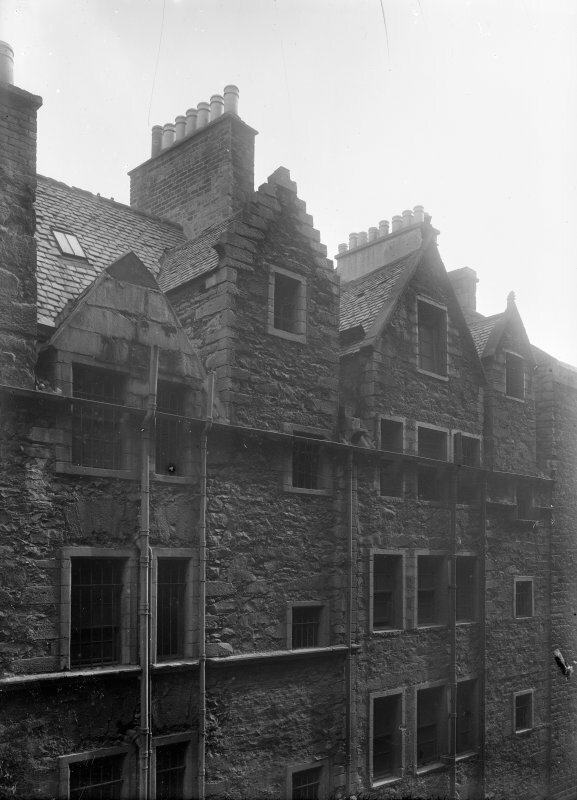 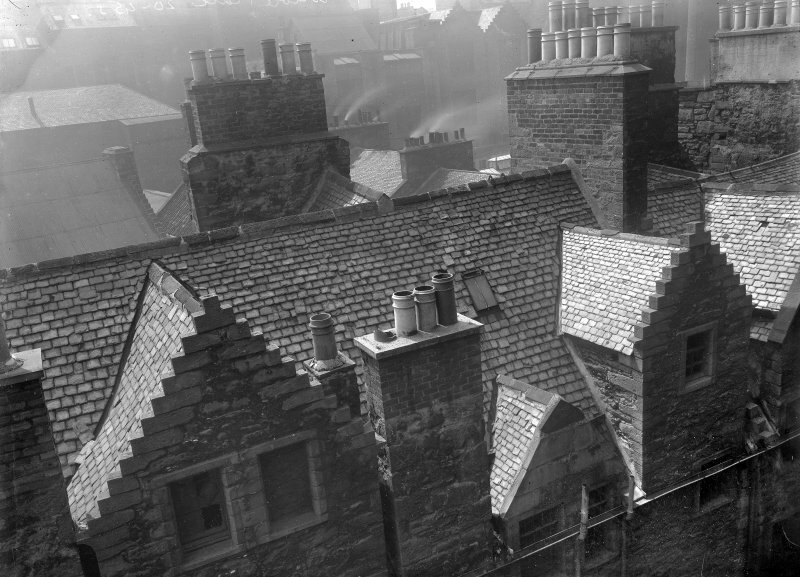 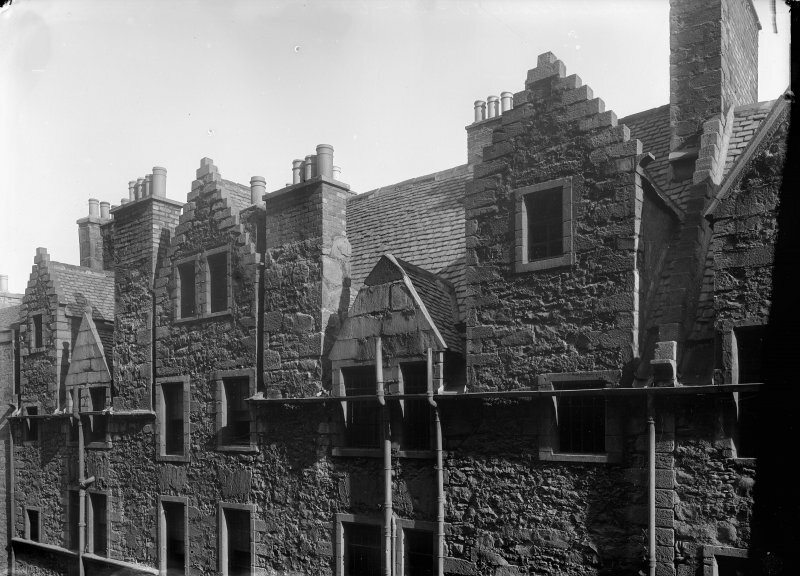 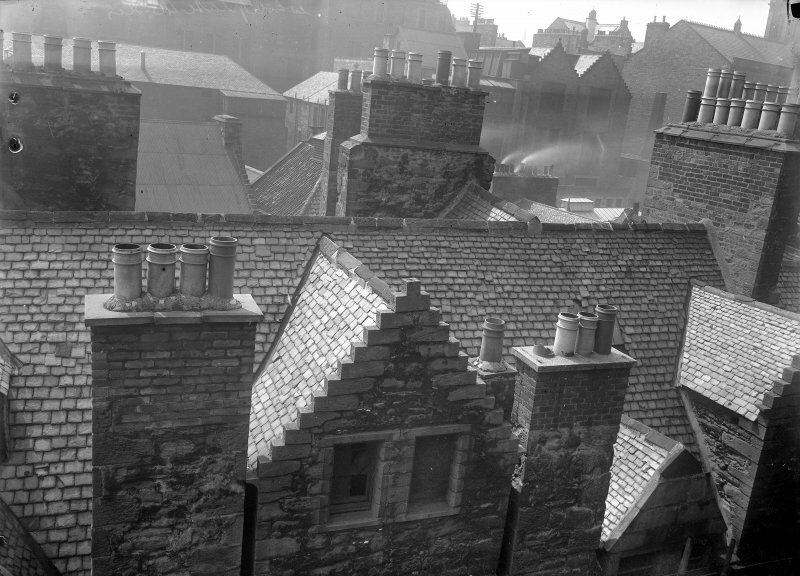 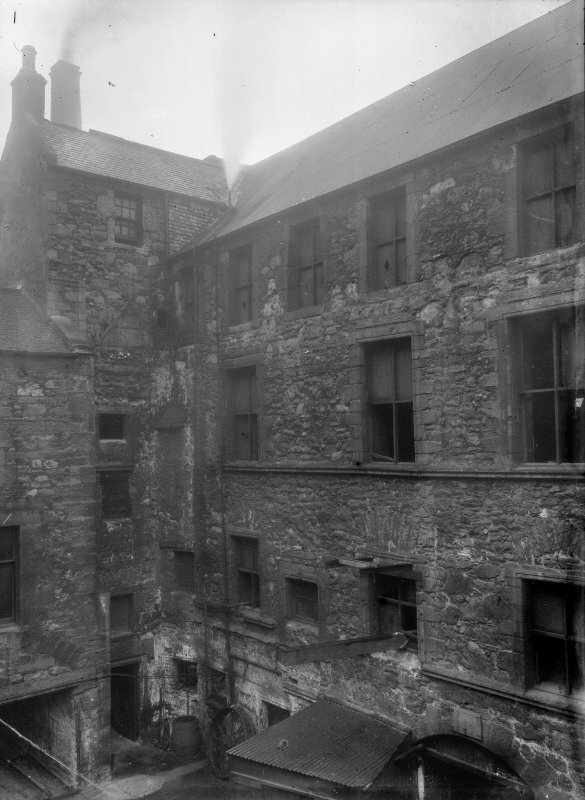 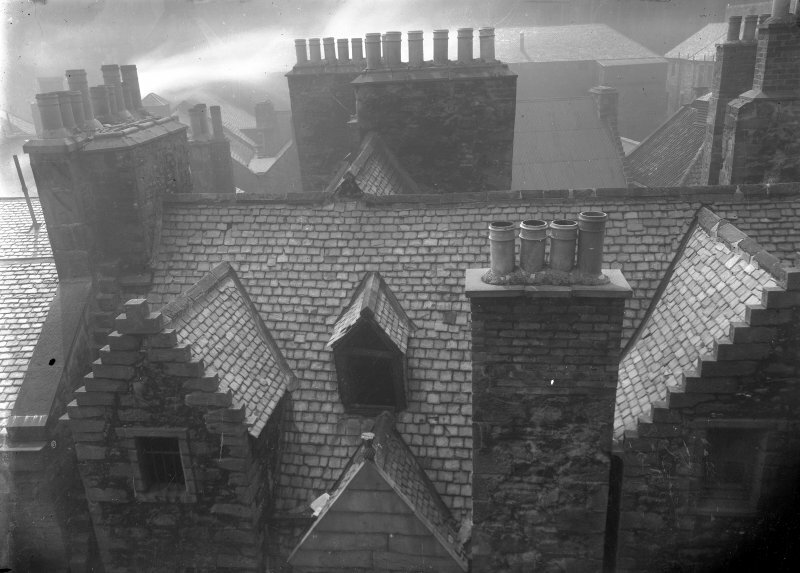 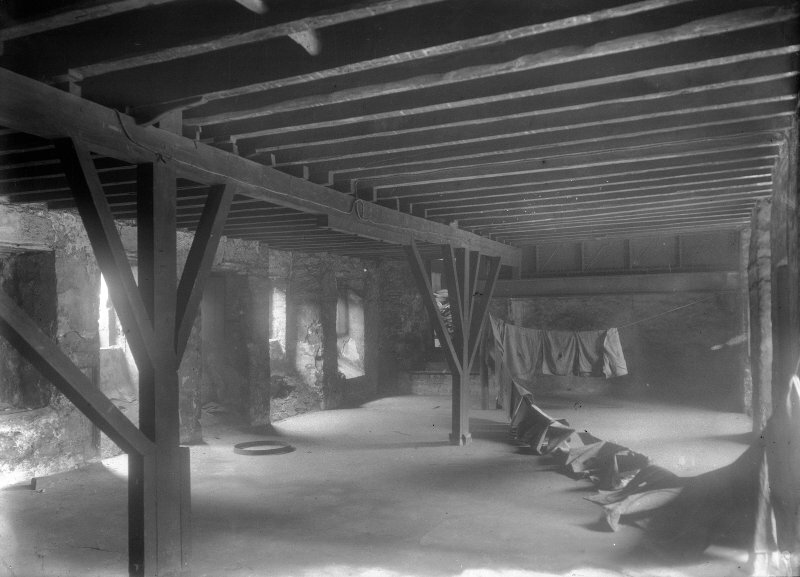 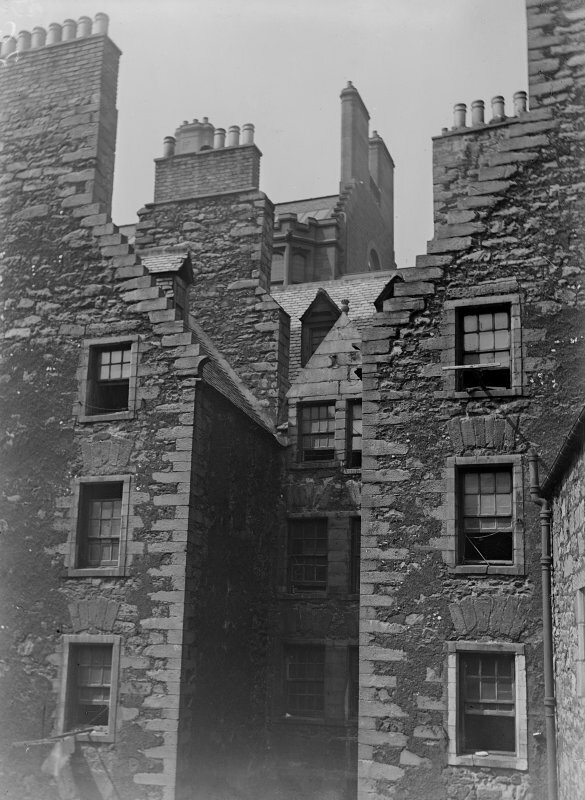 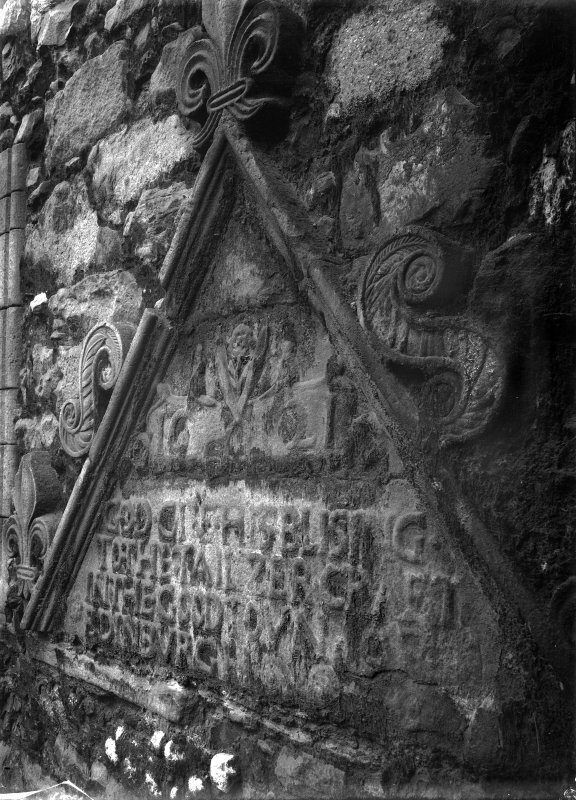 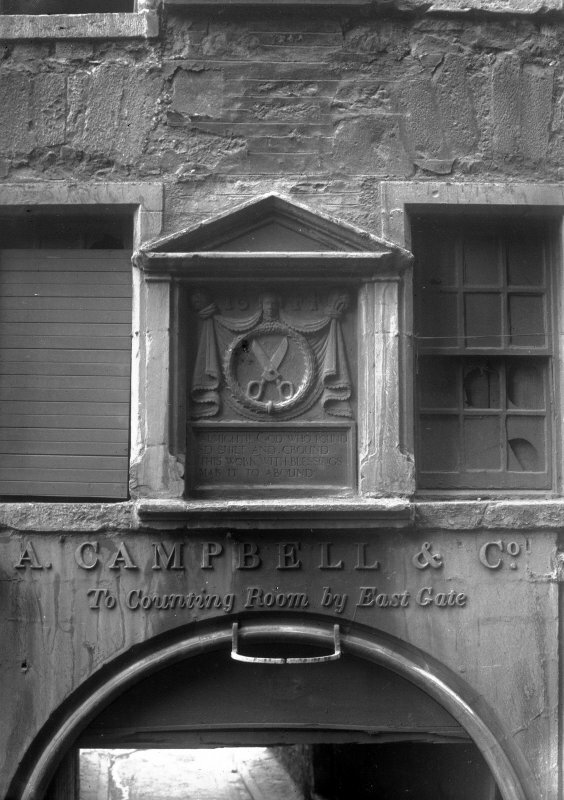 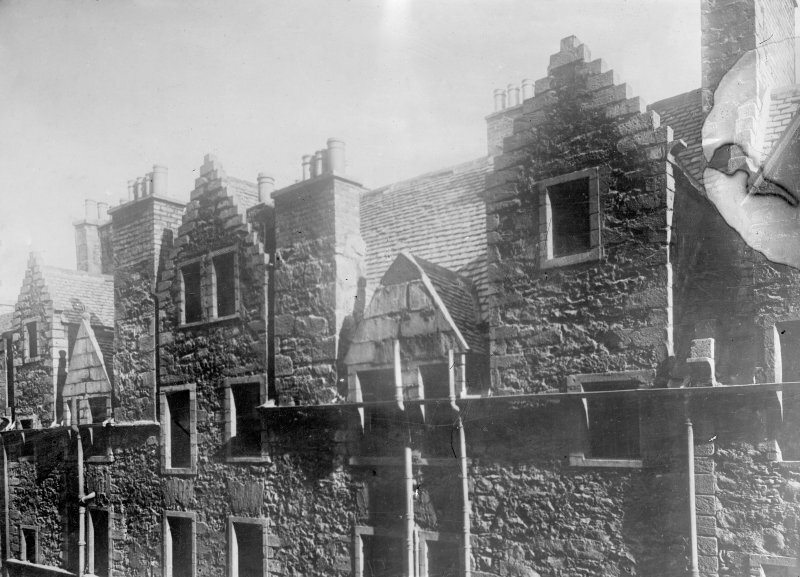 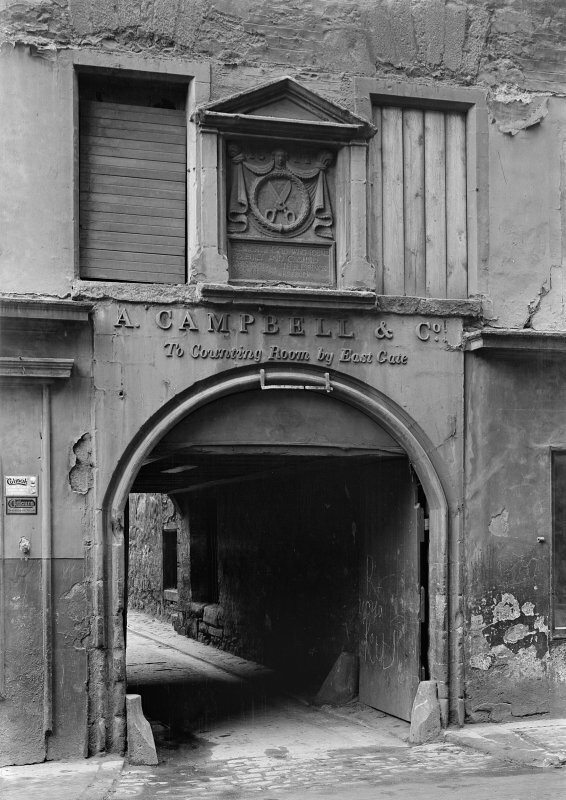 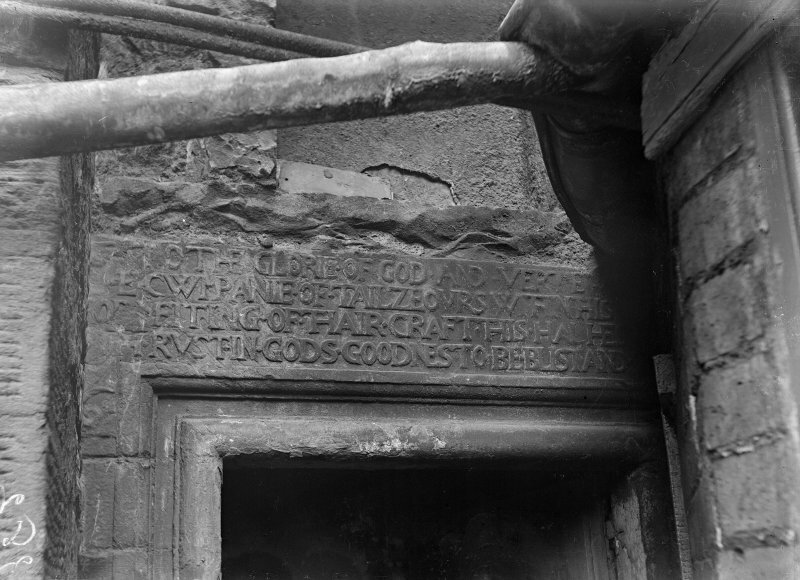 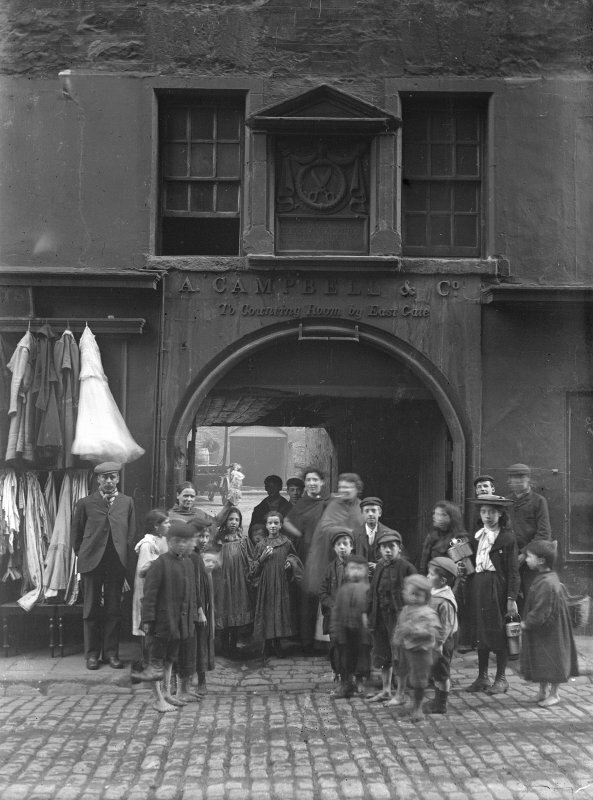 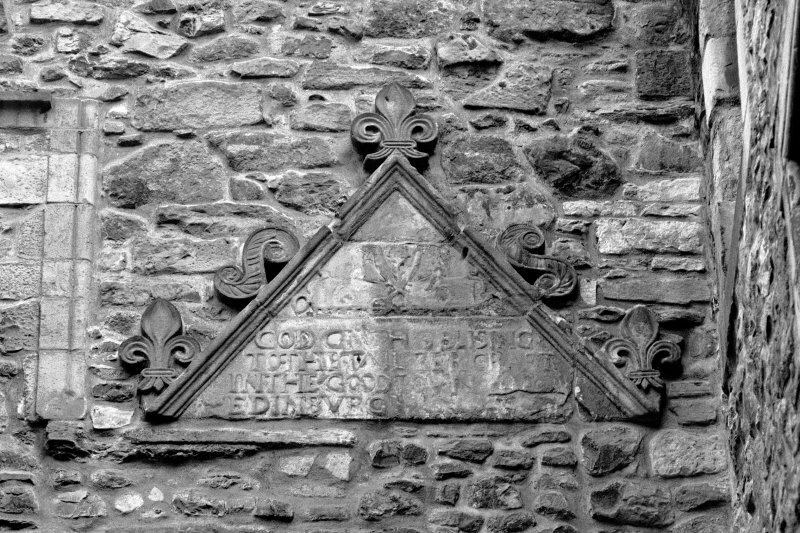 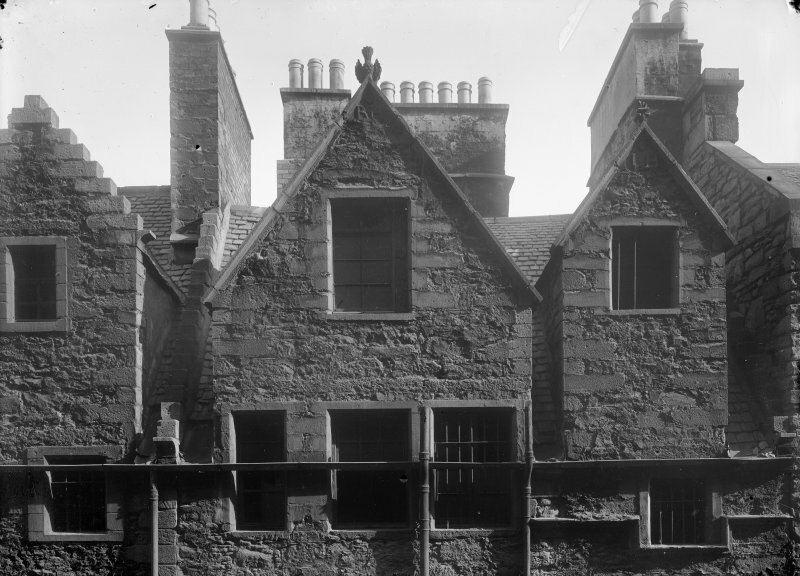 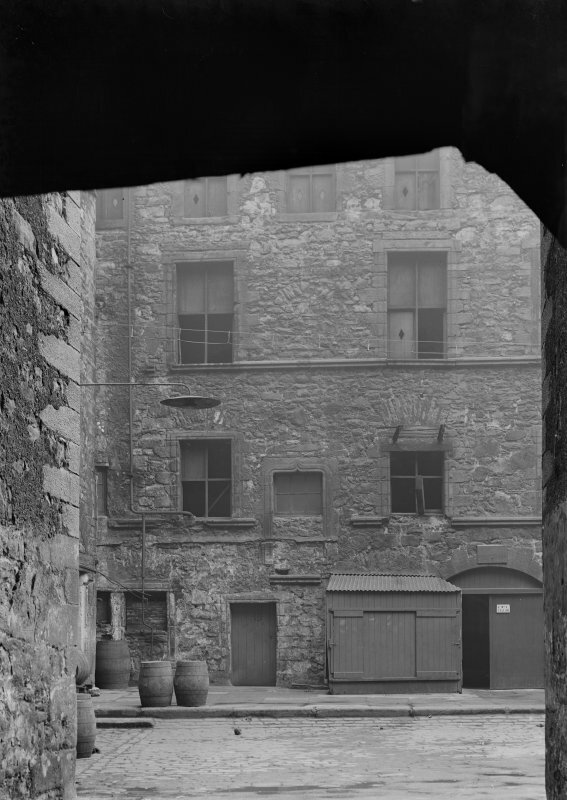 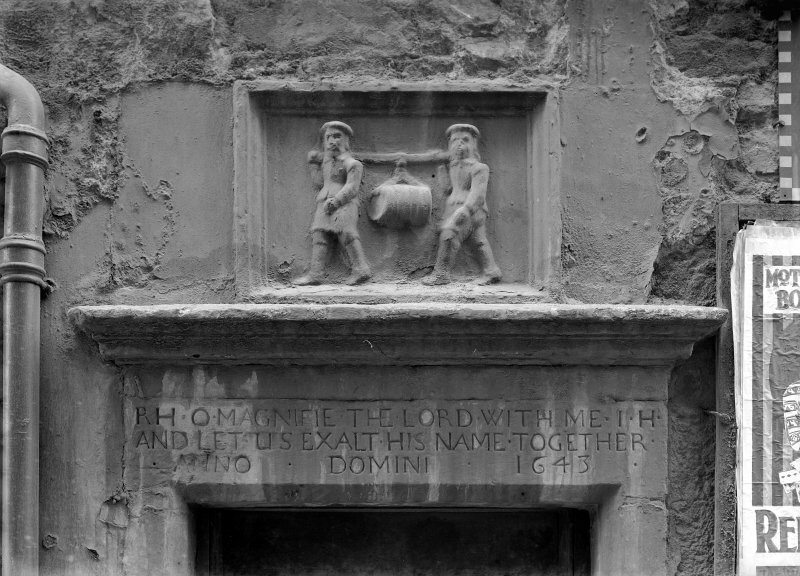 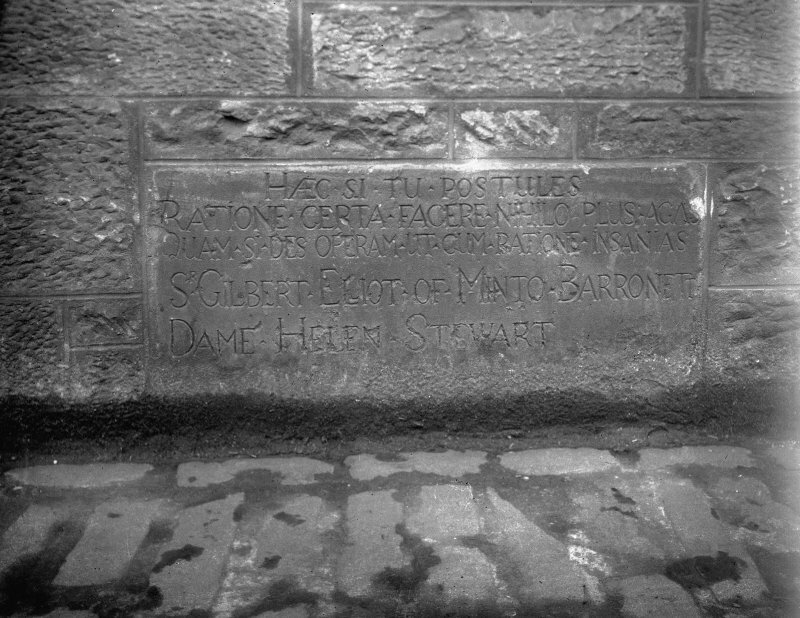 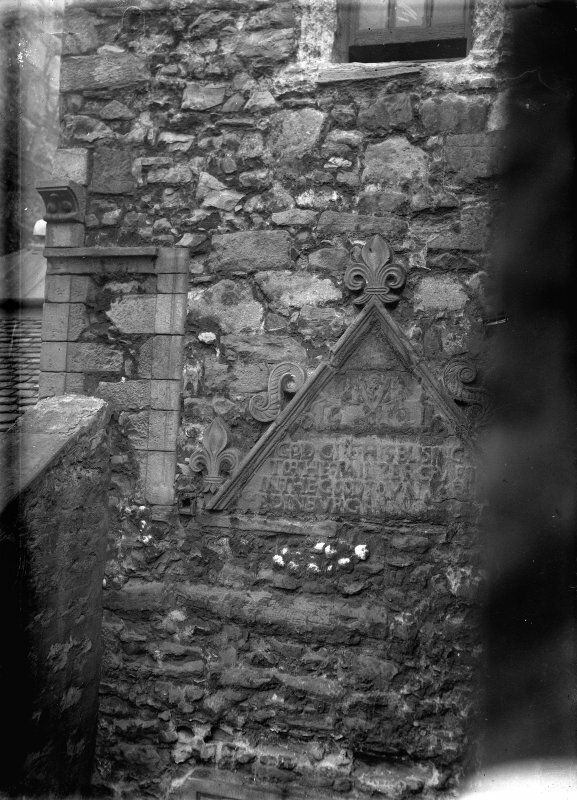 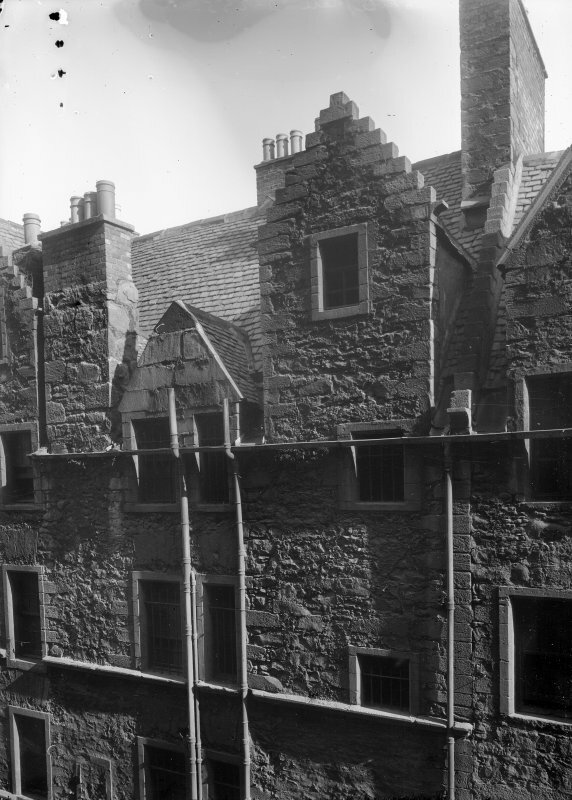 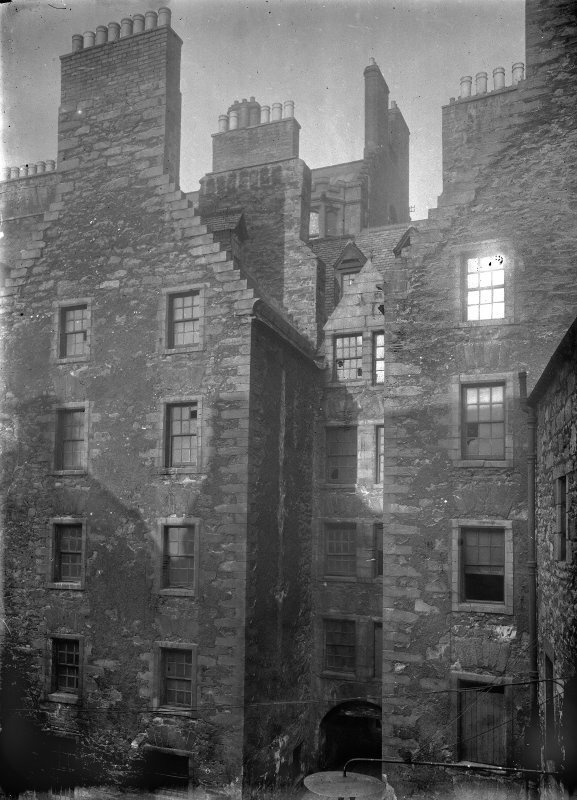 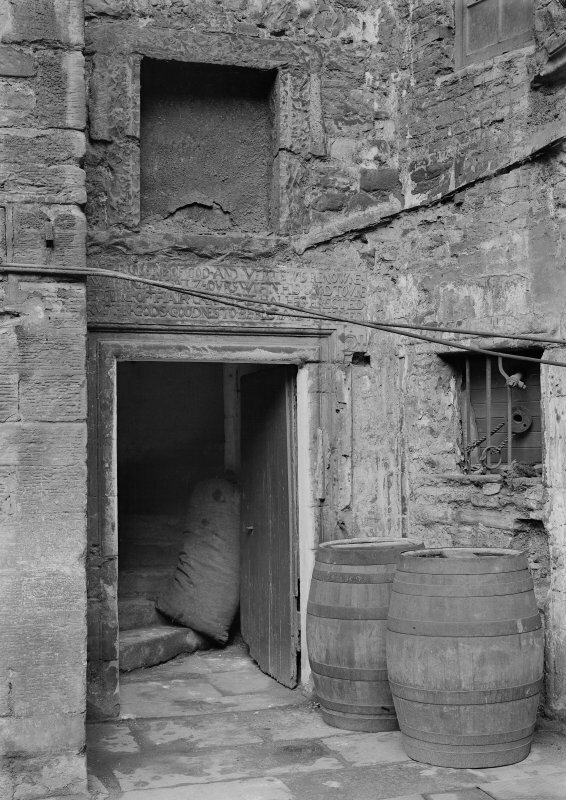 They immediately built a hall, which was finished in 1621, on the S side of a courtyard and, twenty years later, a range of buildings on the N side of the courtyard, fronting on to the Cowgate; this was pulled down in 1940. 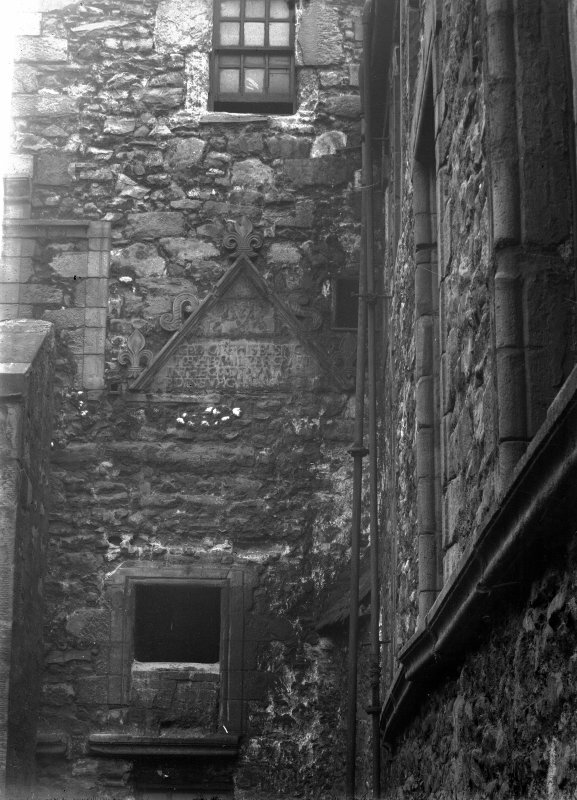 There was a garden behind the Hall. 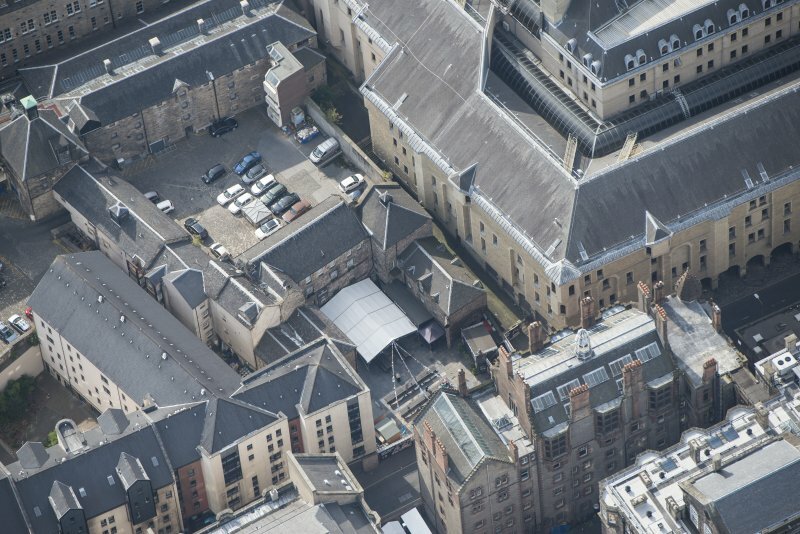 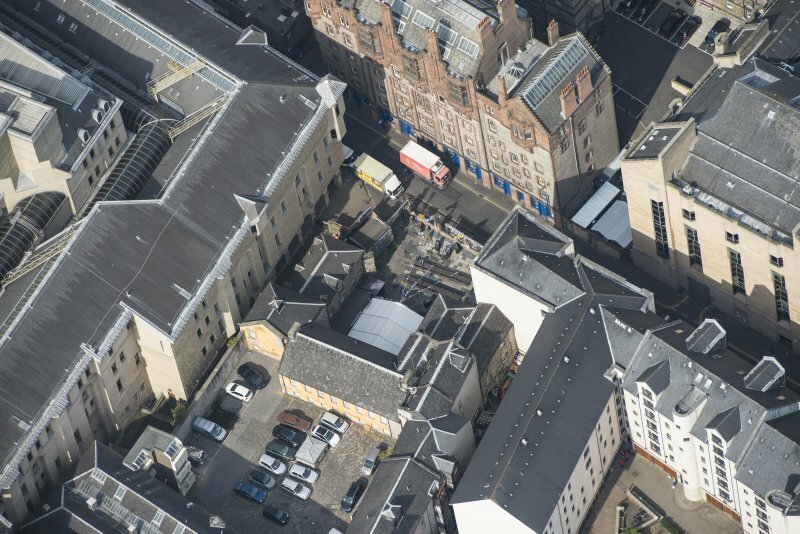 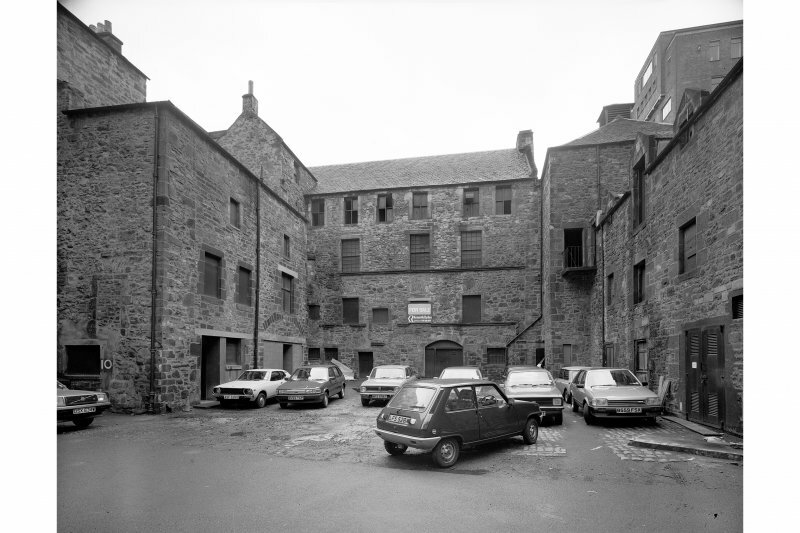 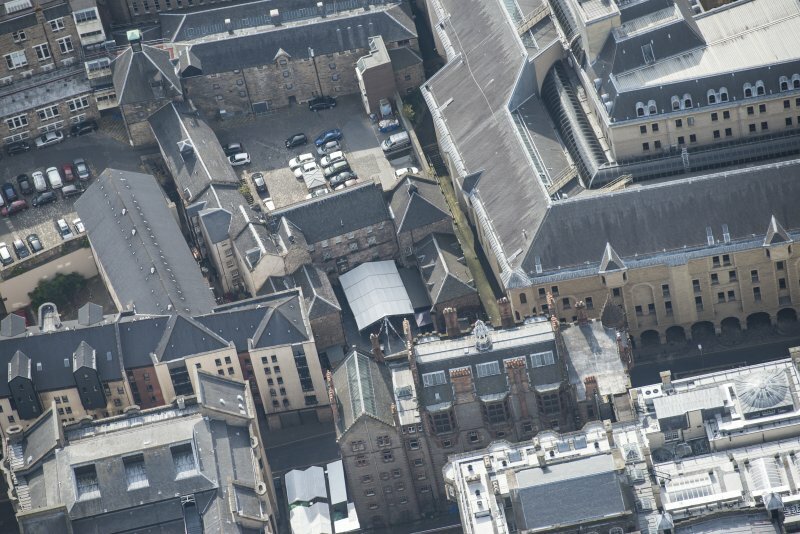 In 1801, the Argyle Brewery acquired the whole of the Tailors' property in the Cowgate with the exception of one building, alongside the Hall, which the Incorporation reserved to itself. 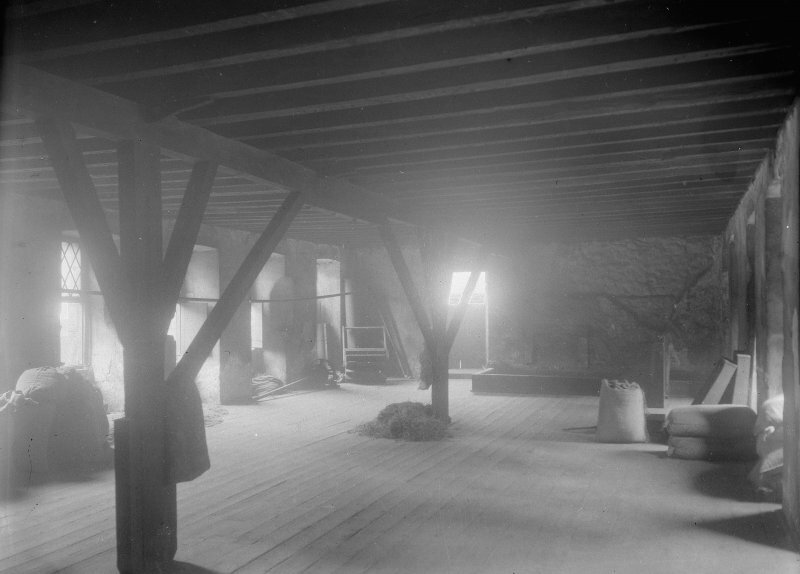 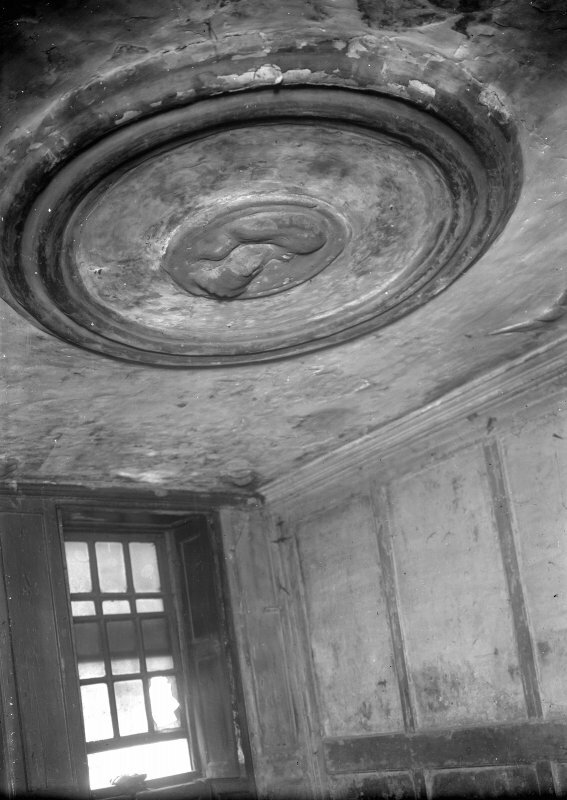 The draft of the National Covenant was approved in the Hall on 27th February 1638. 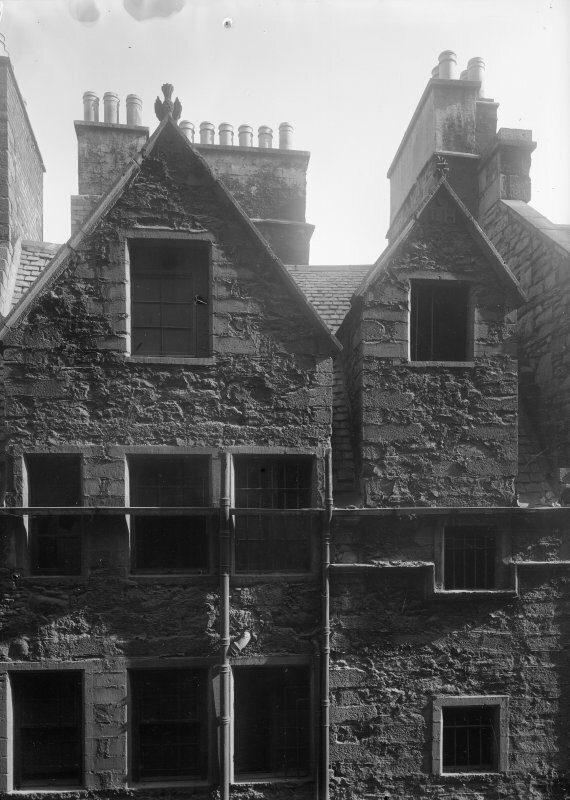 T Ross, G B Brown and W F Gray 1922; RCAHMS 1951. 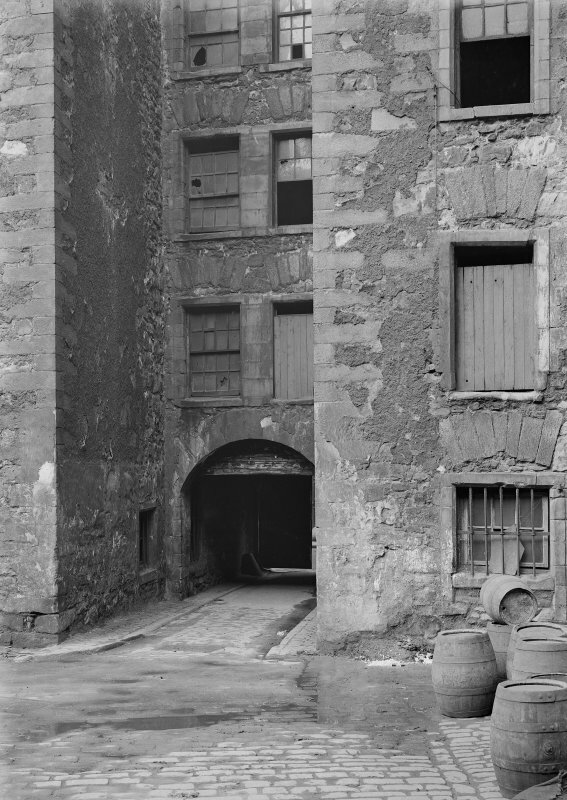 The building is in good condition and is used by the Argyle Brewery as a store and canteen. 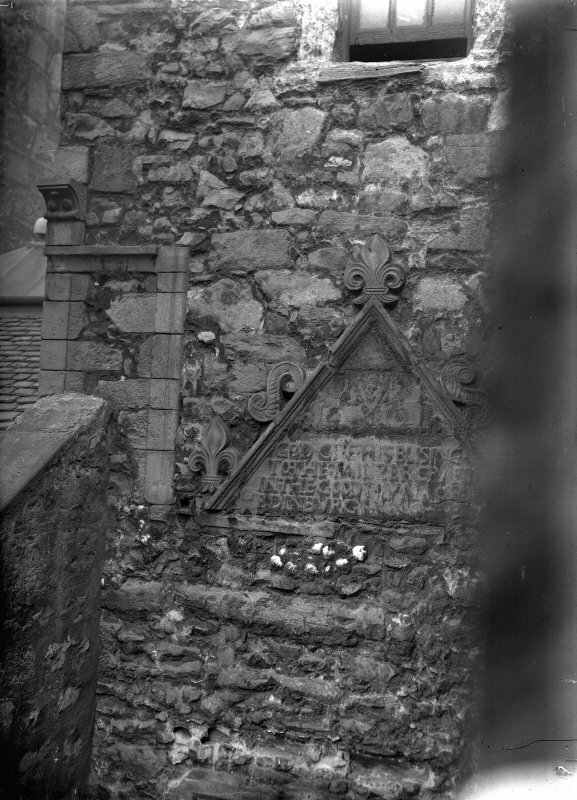 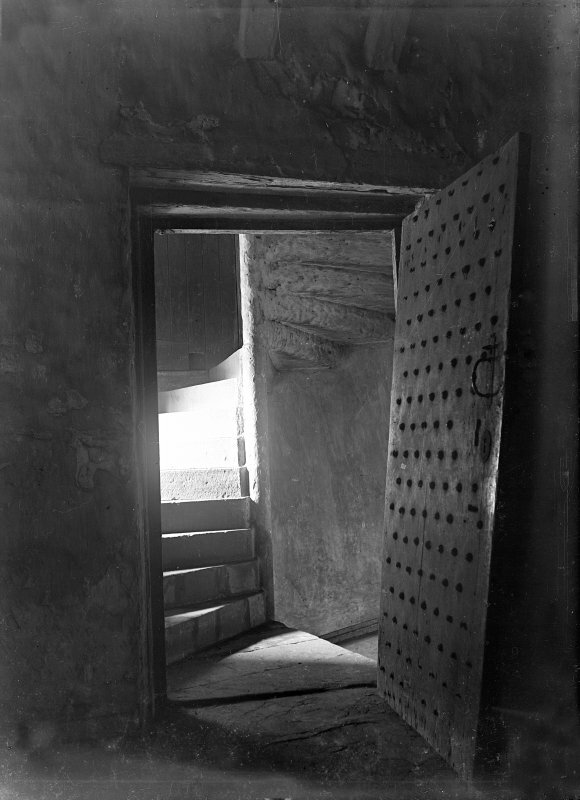 Visited by OS (D T) 31 January 1962. 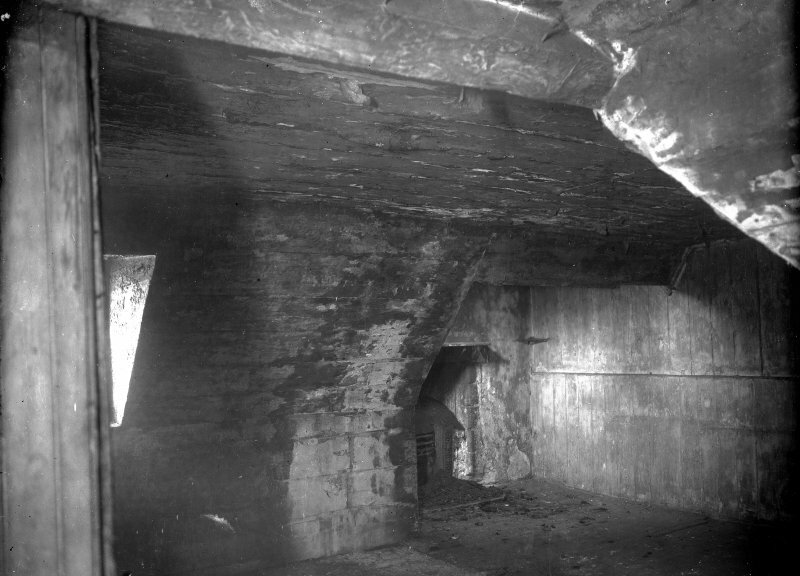 REFERENCE: Notes from Architecture Catalogue Slip. 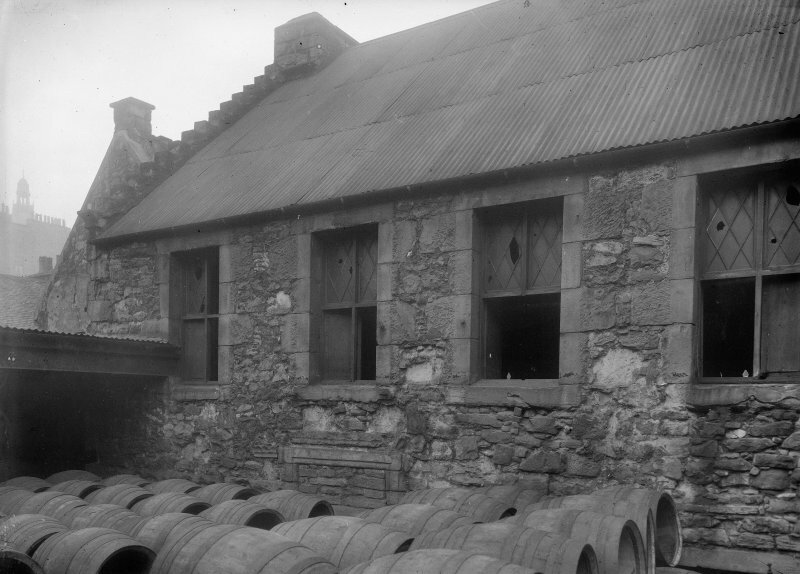 In 1925 was a brewery. 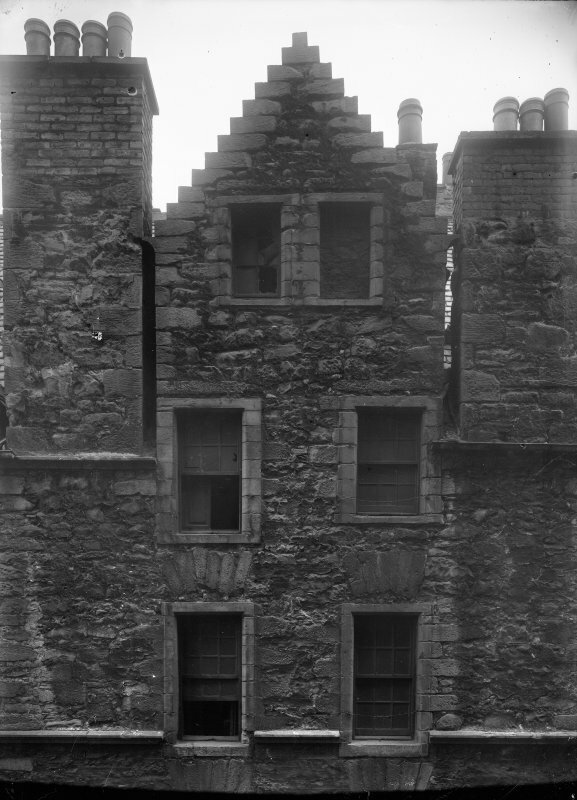 The front more interesting block was demolished in 1939.